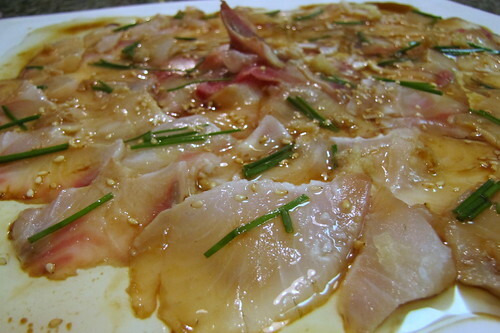 The recipe suggested to put some grated garlic on sashimi. It actually gave a nice kick to complement the limited texture quality from the cheap fish. Of course, mine is far from what Nobu does, but it still tasted really really good. ...oh, make sure you sharpen the cooking knife very well before cutting raw fish!